RENO, NV SEPTEMBER 13, 2011 JT Taylor, Team Manager for Torchmate Racing, took the win at the Ultra4 Torchmate Stampede in Reno, NV on Saturday September 10th. The 130 mile Northern Nevada race boasted as the hardest Ultra4 race yet by promoter Dave Cole, even tougher than the King of the Hammers, makes the win even stronger. “This is a huge deal for Torchmate and this win is a long time coming for me. We knew we couldn’t let off and had to run a fast and consistent pace because there were 45 quality racers chasing me down… so, this is a big frickin deal,” said JT Taylor at the awards ceremony Saturday night as the crowd of racers cheered. Qualifying second behind Shannon Campbell, Torchmate Racing JT Taylor felt confident in the car and the starting position to have a good day. “The TTB car performed perfectly and the crew was on the top of their game. We had a plug wire issue on the beginning of lap two so we ran the 17 mile loop and ducked back into the pit,” said JT Taylor. The crew attacked the car led by Crew Chief Jake Povey who found and fixed the problem and they were back out of the pits before the 2nd place car came through on the first lap. 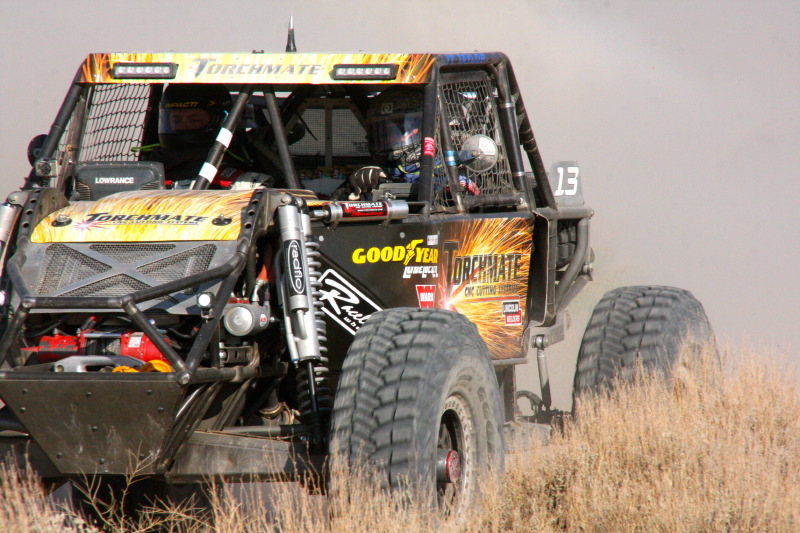 Jesse Haines, Torchmate Fabricator and driver of the Torchmate #4499 car, finished 5th overall. 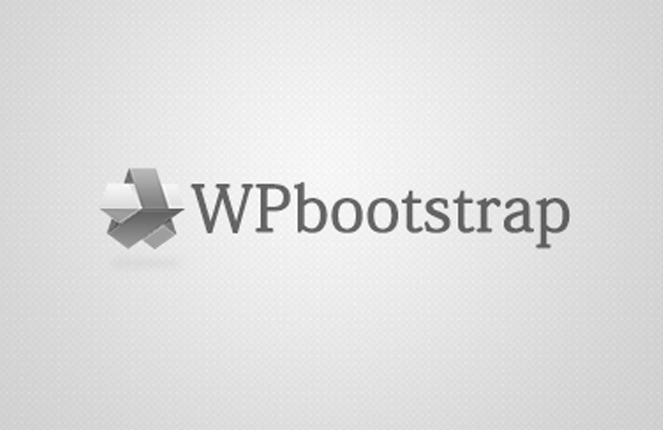 “We ran a consistent pace with really no issues. We took it more as a trail ride and with only a loose brake fitting and a broken winch rope we did good,” smiled Haines after the 130 mile race. His expertise in rock crawling allowed him the opportunity to take alternate lines to bypass multiple rigs caught in the rock sections aiding in his 10 position gain. Bill Kunz, Torchmate CNC General Manager was at the race the entire day cheering on the Torchmate team of JT Taylor and Jesse Haines and all of the racers that came from across the country. “Thanks to everybody for coming to Reno, I know how much you go through to get your cars ready and travel across the country, so if you are willing to come to our backyard, the least we can do is be a big part of the race,” said Kunz. 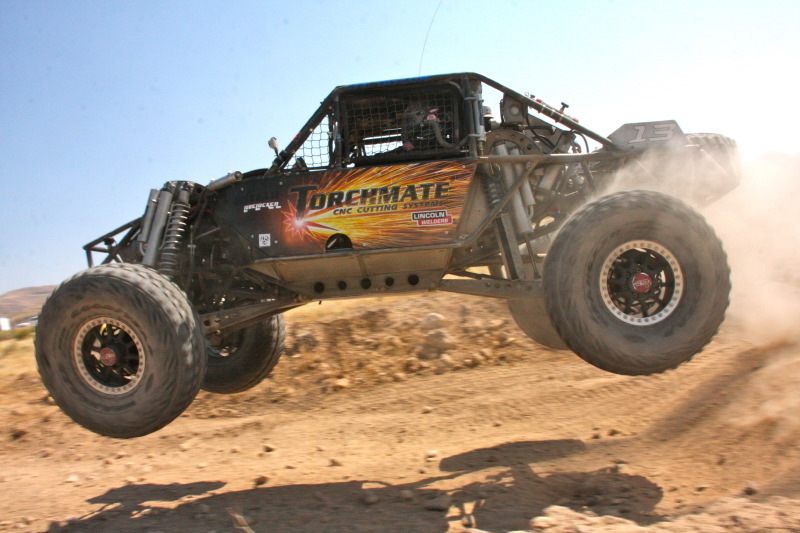 Torchmate CNC Cutting Systems is the Title Sponsor of the Ultra4 Stampede, after being a primary sponsor of the “Lucas Oil on the Edge” 2011 Griffin King of the Hammers TV Show and supporting an entire team for the Ultra4 series. “This win is huge to me. 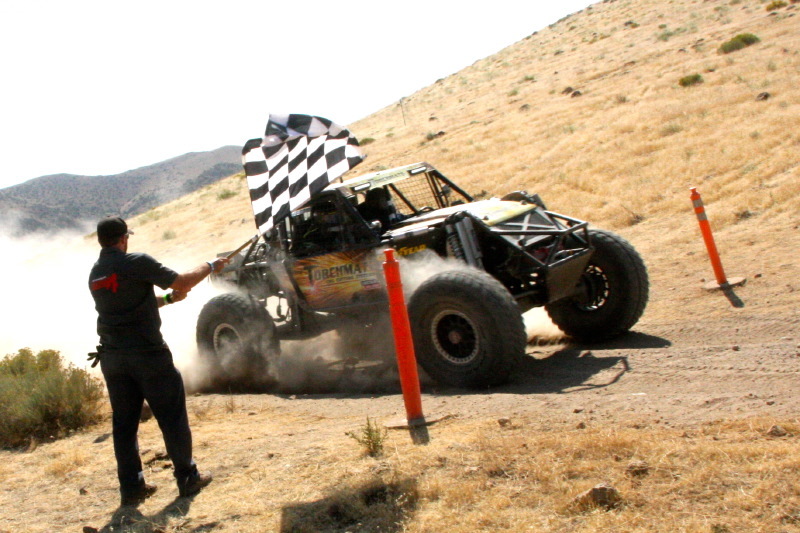 I have never won an Ultra4 race, so it has been a long time coming. Not only personally, but for Torchmate to build this car and to have problems at the last four events to finally prove what this car can do,” smiled JT Taylor. They had no flats on the Goodyear Tires and the car is already being prepped for the Glen Helen Short Course Race in October. Torchmate CNC Cutting Machines can be purchased and more information can be found at www.Torchmate.com.